This article shows the steps to change web server mode using zmtlsctl command line interface (CLI). It was tested using Zimbra 8.0.2 on CentOS 6.3 64 bit. zmtlsctl is a command that used to set the Web server zimbraMailMode to the different communication protocol options. It use to redirect and deny any web server mode based on what we have configured. All modes use SSL encryption for back-end administrative traffic and the admin console. In order to take an effect, the webserver has to be stopped and restarted. There are several choices of Mode. https – https only, the user would browse to https://zimbra.domain.com http:// is denied. both – A user can go to http:// or https:// and will keep that mode for their entire session. redirect – Like mixed if the user goes to http:// it will switch to https:// but they will stay https:// for their entire session. Setting ldap config zimbraMailMode http for centos63.ehowstuff.local...done. Rewriting config files for cyrus-sasl, webxml and mailboxd...done. This guide shows the common error when linux administrator trying to install the mailscanner using ./install.sh script. But you can easily address the problem by reading the error log given and everything is logging into “install.log”. This guide may speed up the troubleshooting time for newbie who not familiar with linux and Mailscanner package and software. I am logging everything into "install.log". Good. You have the patch command. then install it first and come back and try again. From the error above, rpmbuild command not found in the system caused the error. This software is the prerequisite software and if you want to install using install.sh shell scrip. You can re-run the ./install.sh command when rpmbuild installation completed as above. MailWatch for MailScanner is a open source or free web-based front-end to Mailscanner that use to displays the inbound/outbound mail queue, spam, viruses and blocked content on each page header. MailWatch has been written in PHP, MySQL and JpGraph. By using Mailwatch, it allows you to delete, release or run sa-learn across any messages that was quarantined. This post describes how to setup MailWatch on CentOS 6.3 and assumed that you already installed MailScanner and postfix. Initializing MySQL database:  WARNING: The host 'mx1.ehowstuff.local' could not be looked up with resolveip. when specifying MySQL privileges ! 12. Create a MailWatch web user. 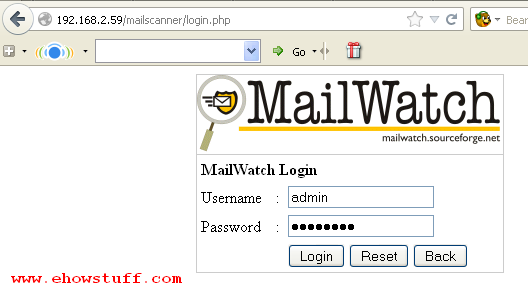 This user will able to monitor the mailscanner through MailWatch web interface. 15. Before setup the mailscanner, make sure it’s Stopped. 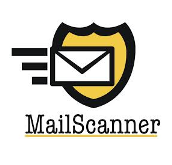 Run 3 to 4 times to ensure the mailscanner completely stop. The status will FAILED if mailscanner completely stop. 20. Check the mail log. BIND (the Berkeley Internet Name Domain) also known as NAMED is the most widely used DNS server in the internet. Bind DNS helps to resolve domain name to ip address and ip address to domain name. There are essentially a few reasons to running your own internet DNS Server. First, of course we need to have full control of our registered domain name and second is to improve the speed of domain lookups. This post covers the steps on how to install Bind Chroot DNS Server on CentOS 6.3 64 Bit. It will describes some extra security precautions that you can take when you install BIND. The idea of chroot is fairly simple. When you run BIND in a chroot jail, the process is simply unable to see any part of the filesystem outside the jail. For example, in this post, i will setting up BIND to run chrooted to the directory /var/named/chroot/. Well, to BIND, the contents of this directory will appear to be /, the root directory. A “jail” is a software mechanism for limiting the ability of a process to access resources outside a very limited area, and it’s purposely to enhance the security. Where is Bind chrooted directory set ? It is assumed that you already know how to install, configure and use BIND. If not, I would recommend that you read the Bind DNS HOWTO first. 7. Create Forward and Reverse zone files for domain ehowstuff.local. ;       Addresses and other host information. 8. RHEL 6 and CentOS 6 apparently no longer generates the rndc.key during installation. Instead, the key is automatically generated on the first start of named service. 10. Verifying permissions and ownership. Created the files required inside the jail, but the matter of setting the permissions and ownership should remains. 11. Test and make sure it’s working. ehowstuff.local mail is handled by 10 mail.ehowstuff.local. ehowstuff.local mail exchanger = 10 mail.ehowstuff.local. 12. If your server does not have nslookup, host or dig command, then you should install bind-utils. All this utilities are the friendly and useful utilities to test and diagnose the DNS issue. Webmin is a web-based interface for system administration on Unix or linux operating system. With webmin, you can easily manage and administer your server with minimal command line. Nowaday, many system administrators implemented webmin into their servers that mainly running Domain name system(DNS) service and web hosting services such as apache, mysql and php. The following installation steps is exactly the same with the previous version of the webmin. Webmin is a web-based interface for system administration on Unix or linux operating system. In this post, i will show how to uninstall previous installed version of the webmin on CentOS 6.3. Uninstall the Webmin much more simple that installing the Webmin software. With single line command, everything can be completely removed. Why you have to remove ? In the situation you do not need the Webmin and want to install alternative software to webmin, you will be asked to remove the software. So that you can do clean install for the new required software of latest webmin software. Step to uninstall Webmin software is exactly same as how you remove other RPM packages. 1. Check the Webmin version that has been installed previously. Subroutine list_servers redefined at /usr/libexec/webmin/servers/servers-lib.pl line 92. Subroutine list_servers_sorted redefined at /usr/libexec/webmin/servers/servers-lib.pl line 111. Subroutine get_server redefined at /usr/libexec/webmin/servers/servers-lib.pl line 143. Subroutine save_server redefined at /usr/libexec/webmin/servers/servers-lib.pl line 158. Subroutine delete_server redefined at /usr/libexec/webmin/servers/servers-lib.pl line 175. Subroutine can_use_server redefined at /usr/libexec/webmin/servers/servers-lib.pl line 188. Subroutine list_all_groups redefined at /usr/libexec/webmin/servers/servers-lib.pl line 208. Subroutine logged_in redefined at /usr/libexec/webmin/servers/servers-lib.pl line 278. Subroutine get_server_types redefined at /usr/libexec/webmin/servers/servers-lib.pl line 303. Subroutine this_server redefined at /usr/libexec/webmin/servers/servers-lib.pl line 313. Subroutine get_my_address redefined at /usr/libexec/webmin/servers/servers-lib.pl line 332. Subroutine address_to_broadcast redefined at /usr/libexec/webmin/servers/servers-lib.pl line 361. Subroutine test_server redefined at /usr/libexec/webmin/servers/servers-lib.pl line 375. Subroutine find_cron_job redefined at /usr/libexec/webmin/servers/servers-lib.pl line 394. Subroutine find_servers redefined at /usr/libexec/webmin/servers/servers-lib.pl line 407. In this post, i will share how to list the installed packages on CentOS using RPM command. RPM has a powerful query feature that allows you to find out what packages are installed on linux system. Use the -q flag to tell RPM to display the package name, version number, and release number of a package that’s already installed, as in this example: rpm -q httpd. VNC is a protocol that is used to display an X windows session running on another computer over the network. VNC server must be install at the target(destination) workstation and source or client will access the target workstatio using VNC client. In this post, it was assumed that the VNC server will be install on CentOS 6.3 and will be access by Win XP client using portable VNC client(VNC viewer). Meaning to say that the desktop on CentOS will be shared with others. If you are running CentOS 5 and below, yum command install will recognize vnc-server. But in CentOS 6, If you are running CentOS 6, the server is: tigervnc-server not: vnc-server will be replace with tigervnc-server not. ehowstuff will have an 800 by 600 screen and mhstar will have a 640×480 screen. Switch user into the account for each user. Run vncpasswd will create the ~/.vnc directory. 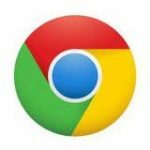 Google Chrome is a lightweight and fast browsing alternative browser that combines a minimal design with sophisticated technology to make the web faster, safer, and easier. It was designed to be simple and stylish not only on windows operating system, but in CentOS or other linux operating system as well. This post will show you the steps to install Google Chrome on CentOS 6.3. 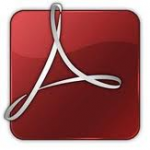 Adobe Reader is the free program created and distributed by Adobe Systems and useful for viewing, reading and interacting with PDF files. It’s also known as Acrobat Reader. In this post, i will share with you on how to install Adobe Reader on CentOS 6.3 32 bit. Adobe Flash Player is an open source cross-platform application for web browsers that is used for streaming multimedia files like audio and video on a computer web browser like Firefox, Chrome, Opera, Safari etc. It will very useful when you want to browse the website such as You-tube. To install Adobe Flash Player you’ll need to change to root, install Adobe’s YUM repository, import the associated GPG key, update the repositories and install Adobe Flash Player. 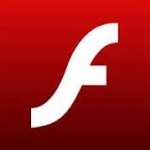 This post will show the simple steps to install Adobe Flash Player on CentOS 6.3. This post tested on 32 bit of CentOS 6.3.